From the moment you step on our lot until the time you drive away in your next car, your buying experience with Economy Auto Sales is our number one priority. We encourage you to use the expertise and resources of our sales staff; they are here to help you find the right car at the right price. Call us today at 404-371-1330 to schedule your test drive! 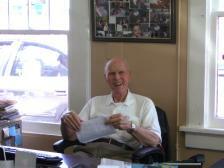 Mr. John as he as referred to by his customers co-founded Economy Auto Sales in December of 1990 with his son Victor. He worked full time up until his death on May 8, 2017. 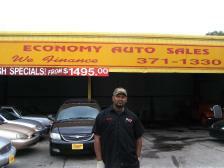 Victor co-founded Economy Auto Sales with his Father, John in December of 1990. 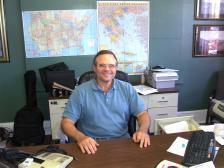 Jerry has been with Economy Auto Sales since November of 2013 plays a vital role, and is a huge asset to Economy Auto Sales. He is involved in Sales, Collections and whatever else is asked of him. We are extremely fortunate to have him on our team. Carlos arrived at Economy Auto Sales in August of 2011 and is in charge of servicing and inspecting our vehicles before we sell them. He is also in charge of detailing the vehicles. 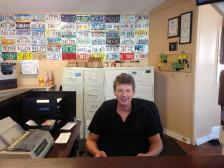 Mike has been with Economy Auto Sales since 2007 and is a lifelong resident of the area.